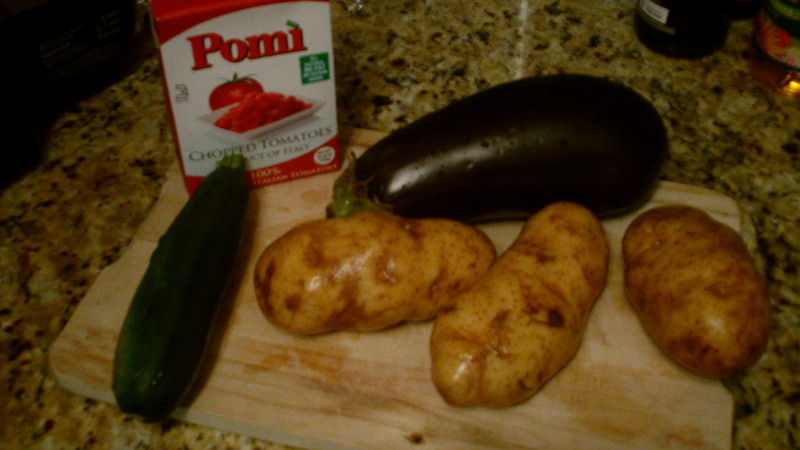 The other day I mentioned that I had a hankering for Moussaka and had to make it..
..well I did, and it was amazing! 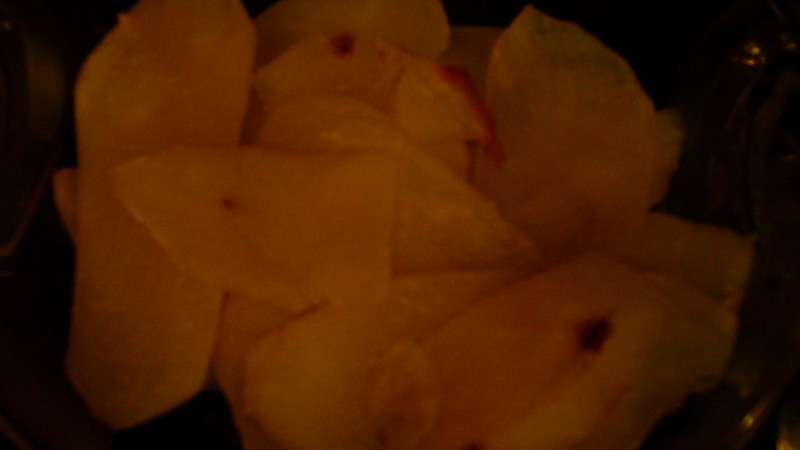 I peeled the potatoes and cut them into thin slices, a little thinner than a pencil since I am not so great with a knife just yet. 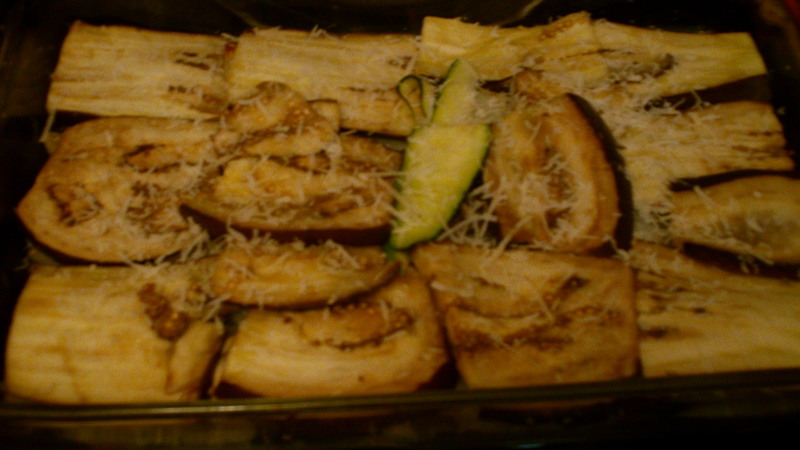 Likewise the eggplant and zucchini. 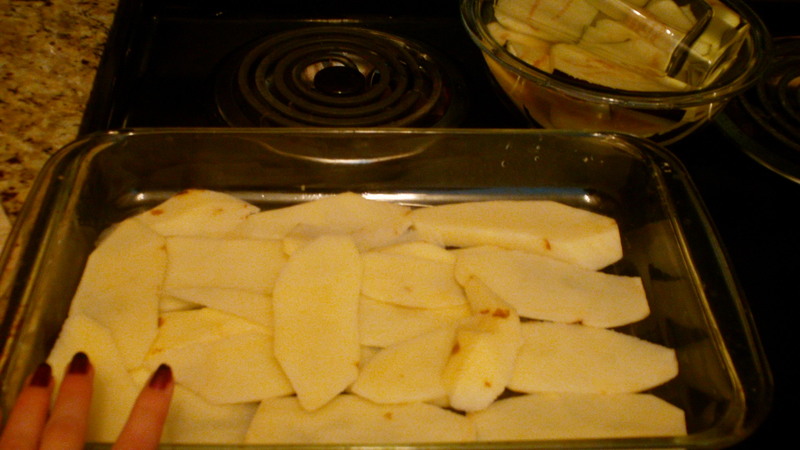 The potatoes are optional but help the dish hold it’s shape and serve on the bottom since they stay firm. 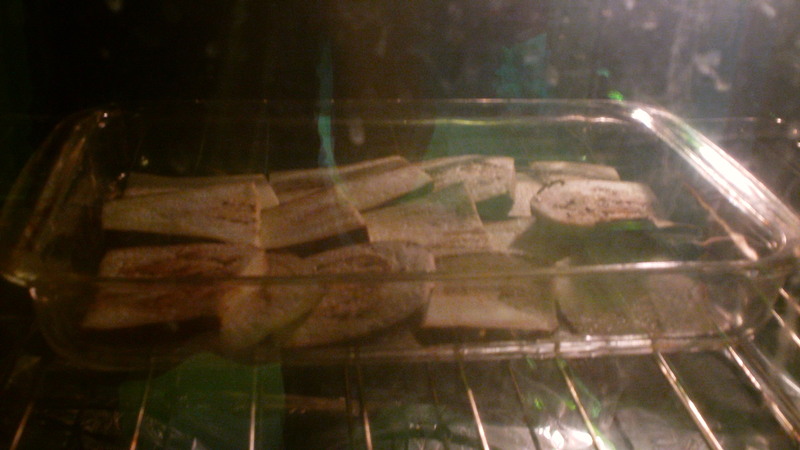 I soaked the eggplants in lightly salted water, say 6 cups of water to a teaspoon or less of salt while I prepared the rest of the veggies and partially cooked ’em in the oven.. 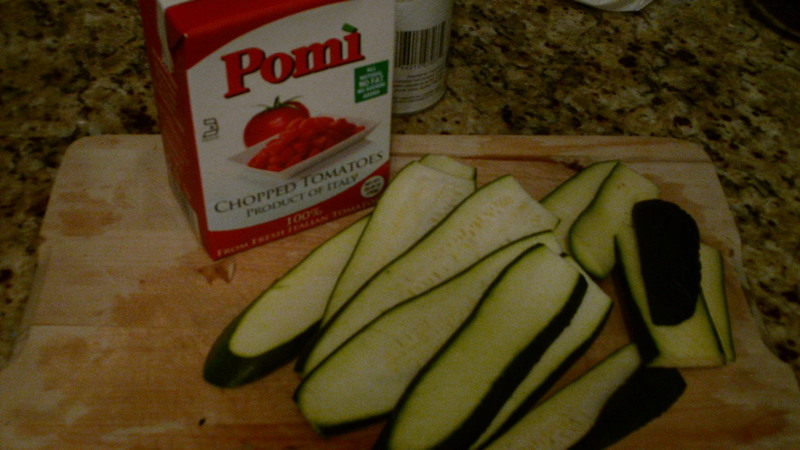 So all of the veggies needed a little precooking and that takes the longest, but if you use that time to prepare the meat and bechamel sauce and clean up as you go it wont seem like a long wait. 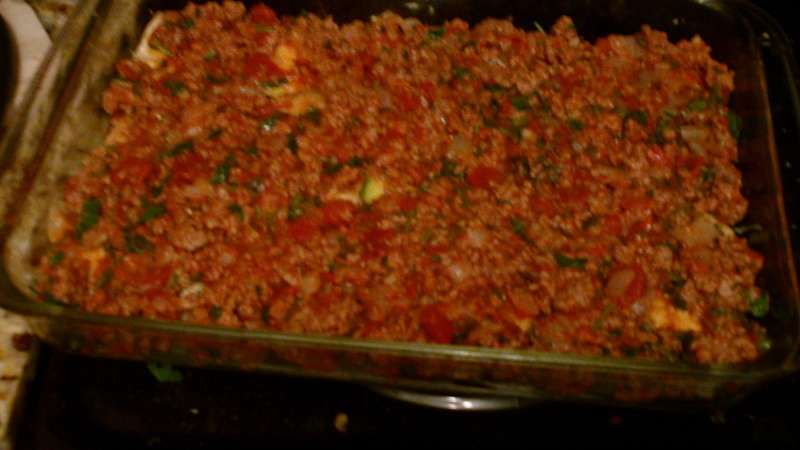 Then I added 1/4 cup chopped parsley, recommended from another recipe I added 1/8 cup chopped oregano but I think I will add much less or just a pinch of dried oregano next time because it was too strong for me, a pinch of cinnamon, and a half cup, maybe more like 2/3rds of a cup of chopped tomatoes.. stirred it up and kept it on a steady heat to evaporate a lot of the juices..
Then I brushed a layer of olive oil across the bottom of my pan and layered in the potatoes, and on top of that, the eggplant and some leftover zucchini to fill in the holes, and a sprinkle of parmesan cheese. Eva recommends mozza on top of the layers as well but personally I don’t think this needs cheese because of the dairy in the layer on top but go to town with it if you want more! 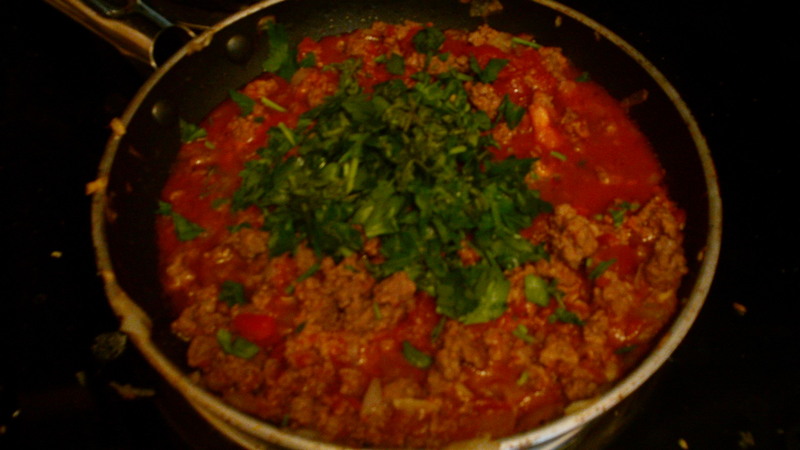 Make sure your meat sauce is dry enough, rather just moist, not dripping.. and layer it across the top of the pan over the veggies. 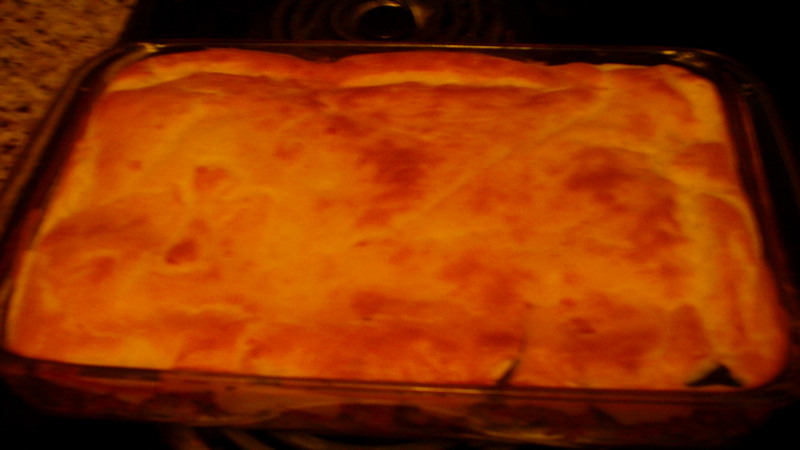 Eva mentions she likes cheese on top of this layer too but I think I only put a sprinkling of parmesan again..
Then I started on the bechamel layer, but I rushed it and it got super lumpy. 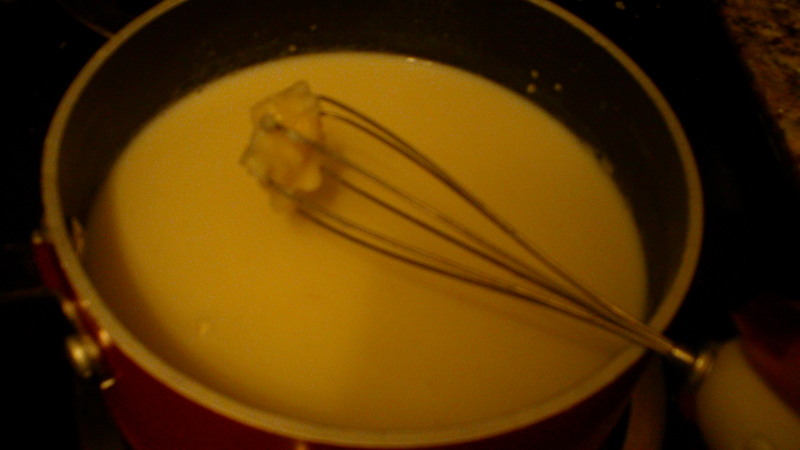 Thankfully I am the wiskmaster. 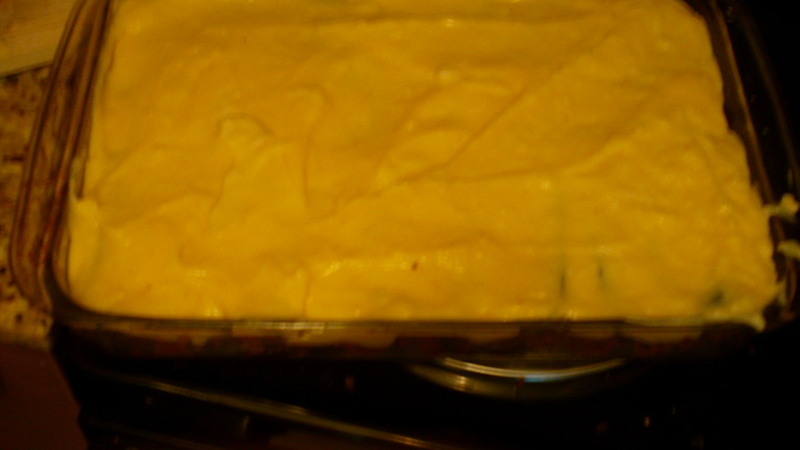 I took about 1/4 cup butter and 1/4 cup margarine and melted it in the pot, added 1/3 cup flour and mixed it up good. Then I added the other third of a cup of flour , but I think you are supposed to add that after you add the milk… which is why mine was lumpy. 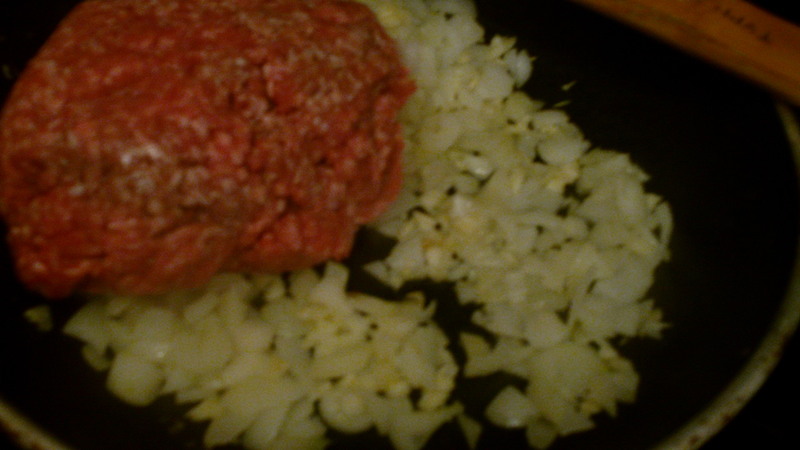 I worked it out by getting the heat back on and letting the lumps sit and melt on the bottom. I added 3 cups of 2 percent milk and stirred the hell out of it. 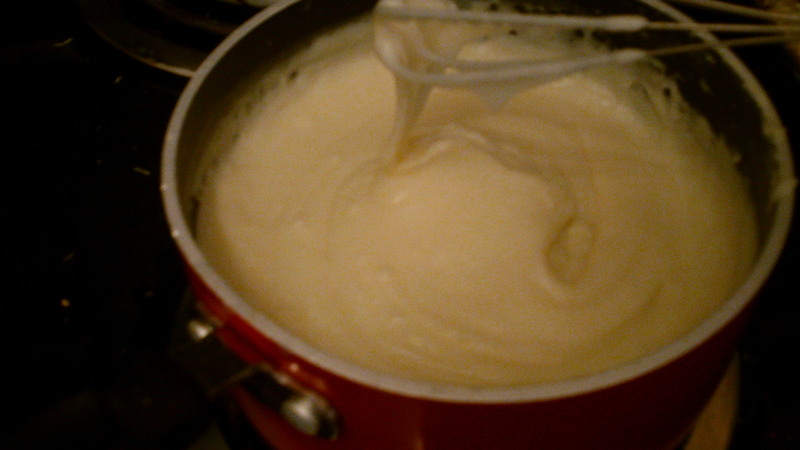 It started getting very very thick so that’s when I took it off the burner and placed it on a towel to cool down for 10 minutes or so, whisking it once or twice in between to make sure it was still thick and creamy like a pudding and sampling it’s deliciousness. DONE! And wow is it ever good. All I would change is maybe cutting out the cheese altogether, and significantly less oregano.. Oh.. By the way, it bakes for an hour at 325 …time it and leave it, the top layer will brown and look crispy because of the eggs, and you’ll see the juice from the veggies and meat boiling and mixing together and oh my… it was so easy to make and so worth making at home. Something perfect to heat up and enjoy outside on the balcony or deck in summer as well..